So I just recently been to Bantayan Island. For those of you who don’t even know where it is in the world, it’s an island in the northwestern part of Cebu. I actually crashed my friends’ anniversary getaway weekend. So once again in a few hundred times, I am the designated “third wheeler”. 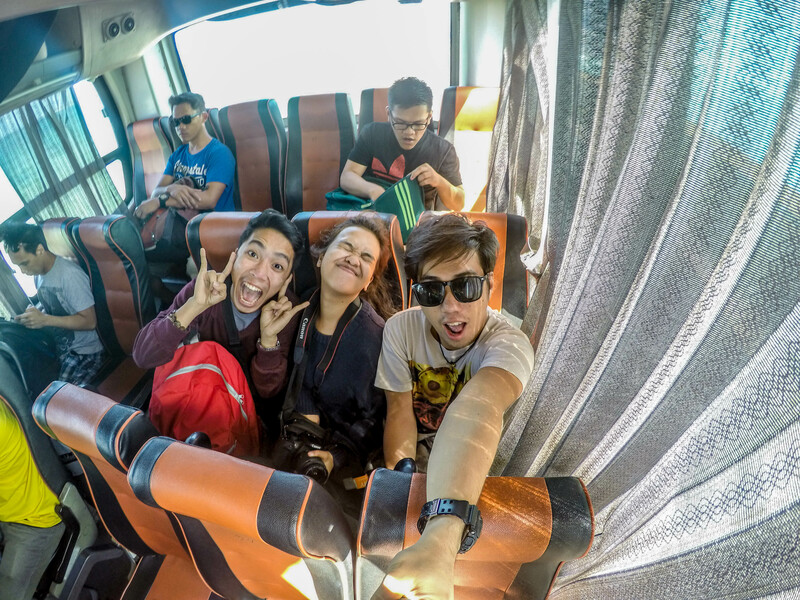 We were so ready for Bantayan. I paid Php 160 pesos since I had my student ID with me (perks of still being in college) but the regular fare is at Php 200/pax if you’re riding an air-conditioned bus. It was around 9:30 AM (around 3 hours since we departed) that I woke up. We had then arrived at Hagnaya Port. The port was part of San Remegio municipality and from there, we have to ride a ferry boat to cross the next island. Since this was our first time going there, we didn’t know that the bus will also be coming with us to the next island. We had to pay a different fee for the ferry boat ride. It cost Php 144 for students (once again – perks!) and Php 160 otherwise except if you’re a child or a senior citizen. The next boat crossing the island isn’t scheduled to depart for another hour so we decided to eat and have breakfast at the port. When we had finally boarded the boat, we thought that it will depart soon. We had to wait for another 30 minutes for the boat to start their engine. The trip was approximately an hour away from Hagnaya Port. Ferry boats from Hagnaya usually disembarks in Sta. Fe, Bantayan. From there it is just minutes away from the white beaches. In fact, even while still on board the ferry boat, you can see the white beaches from afar. Only less than an hour and we were in Bantayan Island. We didn’t know exactly that it was just one tricycle ride away from the beaches when we had arrived. We boarded the bus again and asked the driver beforehand to drop us somewhere we could stay in Sta. Fe. We haven’t updated our driver, which is our first mistake, and I think he also forgot to tell us where we were supposed to stop so we ended up 30 minutes away from where we were supposed to go. 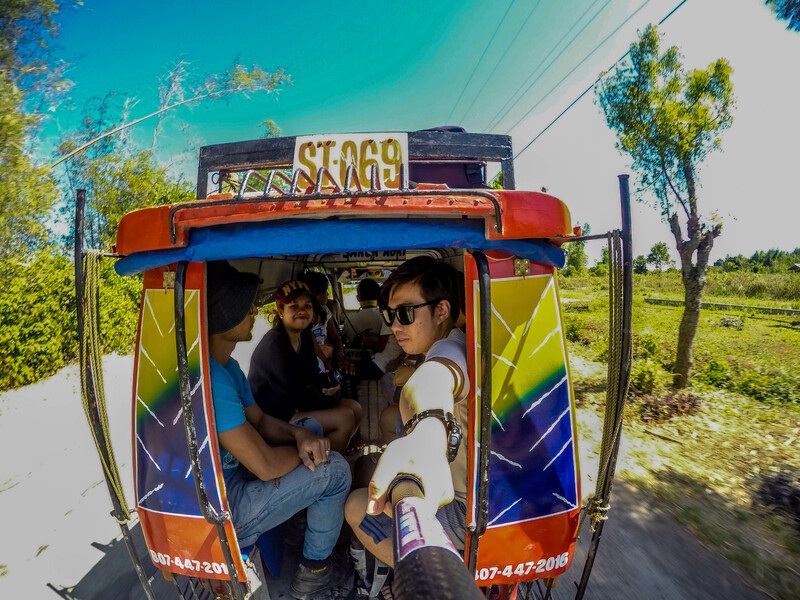 We rode a tricycle/ jeepney (I think this is a hybrid of both? )that cost Php 25/pax just to go back to the port so that we could ride another tricycle going to resorts in Sta. Fe which is less than 5 minutes away from the port (uggghh). we don’t really know what that thing is called but I think its a jeepney-ish tricycle? FINALLY GOING TO THE BEACH!!! Before we had finally decided where to stay, we were first introduced to three other resorts before we had finally booked a room for the night. The reason why it took us four attempts to book a room is because two of the resorts we’ve been were fully-booked and the third one has one room left. We needed to book two bedrooms, one for the couple and one for me (the loner one). Thankfully in our fourth attempt, we had found a place. It’s a place called Queen Elizabeth Resort (click here to know more about the place). It’s a little farther from the Mercado (market) which is where you’ll need to go if you’d want to eat your meals for a lower price. If you’d take a tricycle, it will be a 5 minute drive, but if you would walk along the shore it only takes 3-5 minute walk. I recommend that you should just walk back and forth from the market place. You will not only save your Php 20 from the tricycle drive but you’ll get to know the different resorts as you pass by. My room that I have rented for the night is a fan room with a single bed (fit for two), toilet and bath. It only cost me Php 600. My friends decided to take the air-conditioned room (lucky bastards) since they wanted to have some alone time. Supposedly the regular rate of the room cost Php 1700 per night but my friends bargained for a lower price and surprisingly ended paying Php 1200 (once again- Lucky bastards). Their room was bigger than mine having 2 beds (a double and a single bed) and a bigger toilet and bath. Overall the place was good excellent. The rooms were not overpriced and the owner is so kind-hearted. She even let us used her Wi-Fi for the night even though Wi-Fi connection wasn’t included in their services. Remember our little mishap earlier? Well imagine how hungry we were after being lost at the island for 30 minutes and finding the resort that would take us for the night. 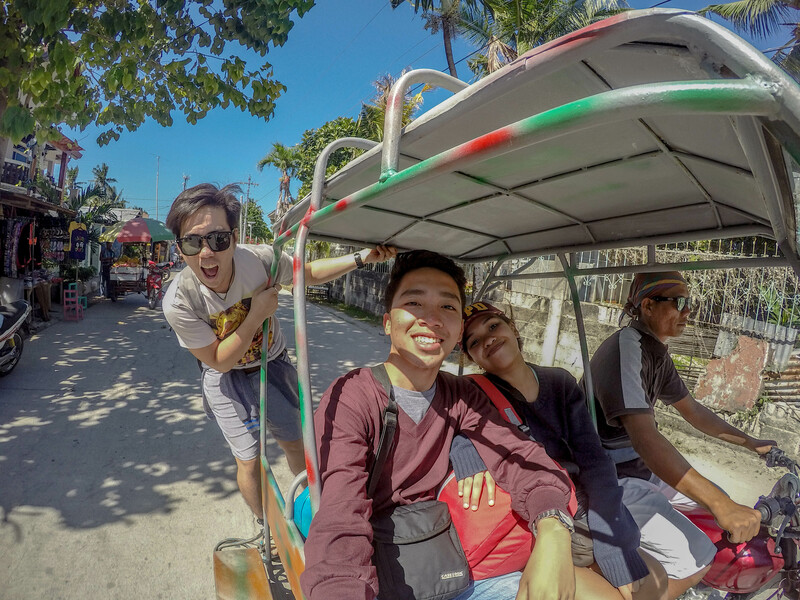 We decided to take the same tricycle that took us to the resort so that we could eat near the market. He was even the one who told us that the market place wasn’t that far if we would take the shore path rather than take the tricycle. We asked the driver to take us somewhere where we could eat barbecue for lunch since we were really craving for barbecue. He took us to a barbecue place near the market. I don’t really recommend that barbecue place where we took our first lunch. The place was unsanitary. There were flies everywhere even in the raw barbecue meat they were displaying. I didn’t notice those before we ordered since all I was thinking at that time was “finally I could eat something”. I have only noticed there was something wrong only after ordering and was waiting for the food. My friends were also thinking twice about the place but since all three of us have already ordered and were too shy to back out (because they were already grilling our food), we ended up staying there for lunch. But one of my friend was so grossed out that she lost her appetite. She had decided to look for another place to eat after we (me and her boyfriend) were finished with the meal that we (with regrets) ate. We had found another barbecue place down the road that was wayyyyy cleaner than the place where we ate. We decided to walk back to our resort. We were still talking about our lunch on the way back and ended up deciding that for dinner we would dine somewhere fancier. After being out on the beach the entire afternoon, we went back to our rooms so that we could prepare ourselves for dinner. Before we went back to our resort to change, we decided to take a look at Kota Beach Restaurant’s menu (a resort that’s nearer to the market place) to see if they have what we were craving (and to check if we could afford it). While waiting for my friends outside, the caretaker of the resort asked us if we have eaten dinner yet. I told her our plan to eat at another resort since we were really craving for calamares. She told me that if we were really craving for seafood, we should just go straight to the market place and look for a restaurant called SuTuKil (Suwa, Tuwa, Kilaw). She doesn’t recommend the place we’ve found because it was pricier since it’s a resort restaurant. The servings were small and for sure we won’t be satisfied. I later told my friends about it and decided to check the place before we decide where to eat. When we arrived at the recommended place that the caretaker told us, we were welcomed by how comforting the area looked like. From the outside, we can already smell the good food they were serving. We were happier when we’ve checked the menu. They had a lot of food to offer. 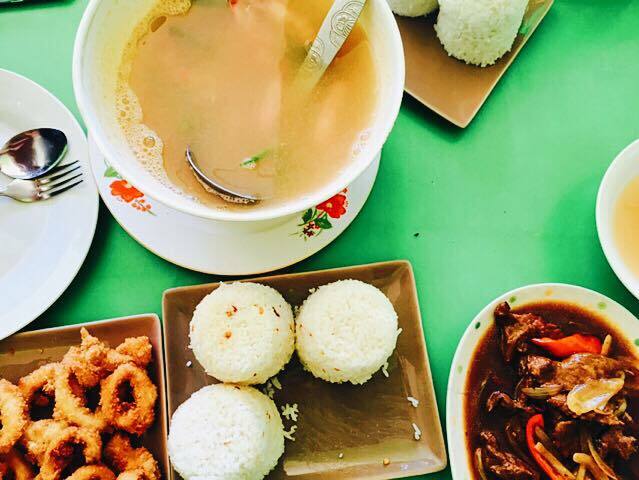 From seafood, pork, chicken, beef, different kinds of soup which we were also craving for at that time and most especially, CALAMARES!!! The prices were also way cheaper than the previous one we had checked. The prices at Kota Beach were around Php 300-500 per order, good for two. The prices at SuTuKil were around Php 110 and not exceeding Php 200 per order and still good for two. I can’t really say in behalf of Kota beach but basing from the food offered and prices, I would choose SuTuKil. We were told at SuTuKil that per order were good for two so we ordered three different food (including Calamares) and soup. We were surprised when our meal arrived because we were expecting that the food would just be enough. The food served were so many that we hadn’t finished eating everything. We were so full and satisfied that then and there, we came to an agreement to come back the following morning to eat brunch before we decided to go back to our normal life. 4. 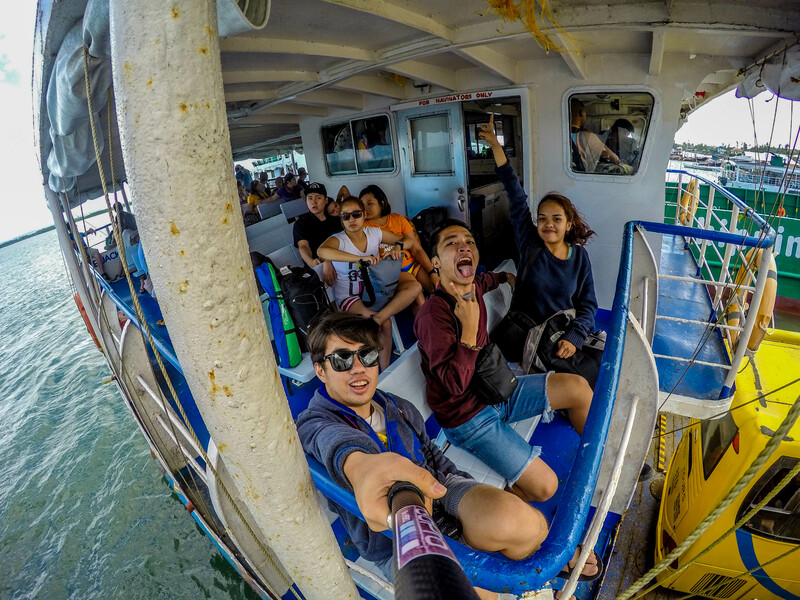 What to do in Bantayan? We didn’t have enough time to explore everything Bantayan has to offer. I wasn’t even expecting the island to be that big. I thought that it was just a small island that can be strolled in a matter of hours. The island even has three municipalities which means it’s really bigger than what I was thinking of. The only thinking we’ve done while we were in Bantayan was to frolic along the beach side of Sta. Fe. That alone was satisfying since the beaches were so relaxing with its pure and white sand, clear and blue water, and most especially the perfect weather for a fine day at the beach. But Bantayan has many more things to offer. I haven’t known more about the island since I had only decided to go to Bantayan at the last minute.